get moreinformation 859-750-9100call or text personal tourschedule it! North Bend Road to left on Treetop. 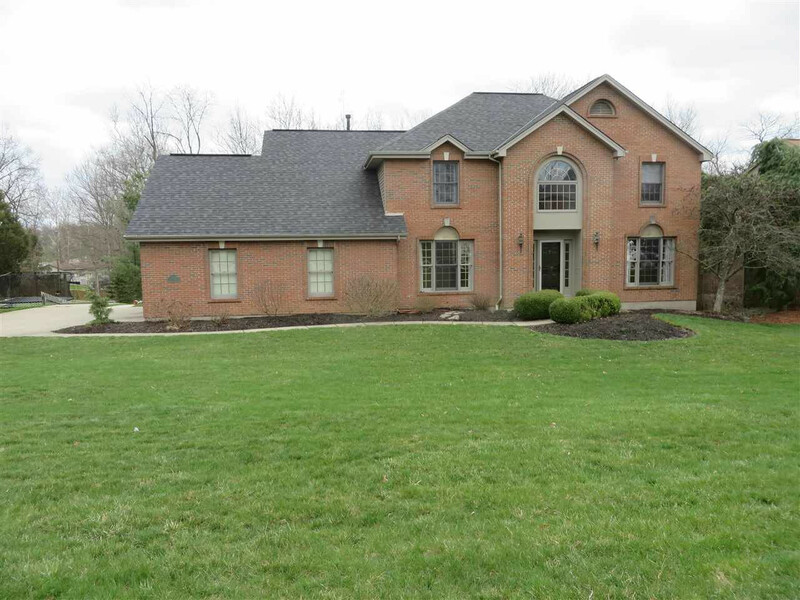 Pristine Custom built Tom Schreiber home on over half acre private wooded lot. Finished lower level with walk out to amazing backyard, patio, large deck. Newly remodeled bathrooms and kitchen, granite counter, 1st floor laundry, vaulted 2-story living room w/ wbfp. Wood windows, newer HVAC, roof and HWH. Hard to find Oversized side-entry garage with work area. Move right in! !